FNMC was thrilled by the quality of entries for the annual composition competition. We invite you to view the complete list of competition winners and finalists AND upcoming FNMC composition competition performances. FNMC members can learn more about our finalists and how to contact these composers via our member page. Details regarding the current composition competition can be found here. 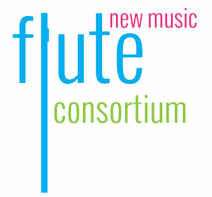 Flutists, FNMC is thrilled to host the first ever Flute New Music Consortium Flute Artist Competition. Please visit the Flute Artist Competition Page for more details.